So I switched over to Channel 2 (does anyone still call it that?) last night (12:50AM) and was treated to HALF an HOUR of wierdo test patterns and blackness accompanied by a high-pitched tone. The whole thing was incredible and like watching some abstract video-art, never knowing when it would finish. 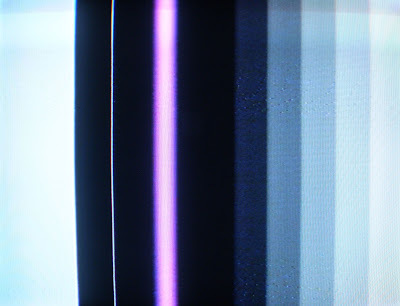 The array of diverse test patterns and colour bars were truly inspiring so I got out my camera and started photographing the screen. 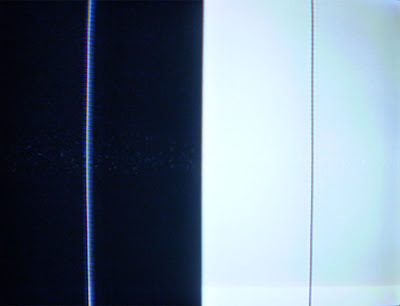 There's something about test patterns and calibration screens that fascinates me. I'd like to make a documentary looking at test-patterns through history and their purpose and call it 'Please Adjust Your Set: A History of Test Patterns'. 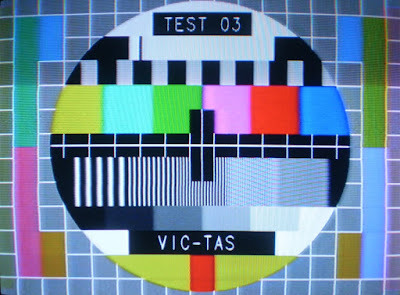 The test pattern above suggest that the problem was limited to the Victorian and Tasmanian transmissions. There was a program scheduled, but I went to bed before I saw if (and when) it resumed. 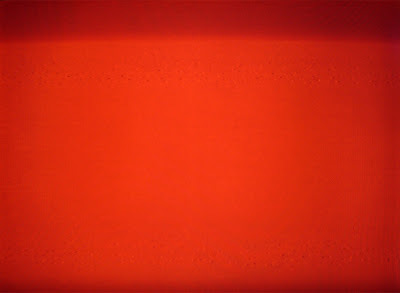 The full red screen above was isolated in that there were no full green or blue screens that I saw. If I could have recorded this stuff, I totally would have. I mean, how rare is dead air on it's own? And all of this other stuff? For over half an hour!? I told my wife that this is the tele-visual equivalent of Halley's Comet, but perhaps that's stretching it a bit too far.